Wondering which BMW i3 Charging Station is the right one for your home, workplace or car park? In this article we cut through the confusion and identify what you should be looking for in the ideal BMW i3 Charging station. 1) How far do you drive ? 2) How long do you park for ? 3) What is your homes availability of power ? Your BMW i3 will generally come standard with a 10amp Portable Charger which is capable of being plugged into any domestic wall socket which means you will never get caught short of a charge for your BMW i3. Although very convenient, this is not the fastest way to charge your BMW i3 as it will only add around 7km of range per hour of charge. If you are only driving very short distances, less than 20km a day then this could be an option for you, but generally speaking installing a dedicated Home BMW i3 charging station is both safer and faster. By using a dedicated BMW i3 Charging Station set up in your home garage, you can increase your charging speeds by up to 10x and add up to 70km of range for each hour charged. Not only is a dedicated home BMW i3 charging station faster, it is also safer as the BMW i3 charging station has built in safety fetures which ensures safe communication between the BMW i3 and the charging station prior to any charging occurring. The newer BMW i3 will come fitted with a Type 2 (Mennekes) inlet, as opposed to older model BMW i3’s that used Type 1 (J1772) inlets for i3 charging. This means that if your house has access to three-phase power then you can charge at the new maximum capacity, which is 11kw. 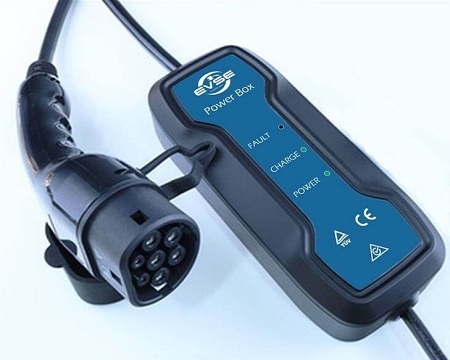 Whilst not all houses have access to three phase power, we recommend upgrading or installing a three phase charger as this will future proof your investment regardless of the future updates to the BMW i3 that will occur over time as the battery technology and onboard charging capacity increases over time. To get the most out of owning an electric vehicle such as the award winning BMW i3 you want to spend less time charging and more time driving, this way you get the benefits of the lower cost to recharge your BMW i3 vehicle versus a traditional petrol vehicle. If you need help with your BMW i3 charging station needs then visit the BMW charging page for more information on our comprehensive product range and find the best charging solution for your BMW i3 charging needs.